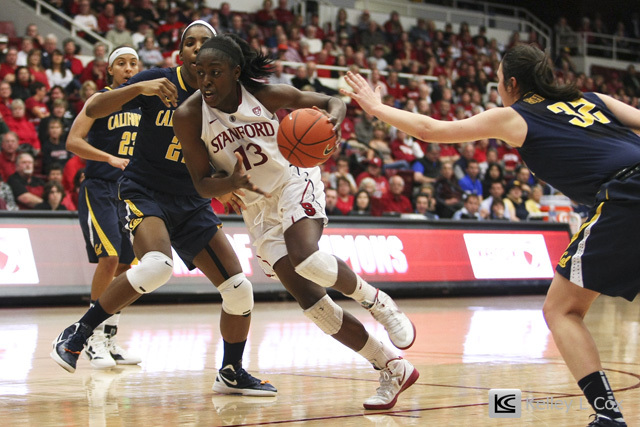 Headed over to Maples Pavilion for the California Golden Bears against the Stanford Cardinal. 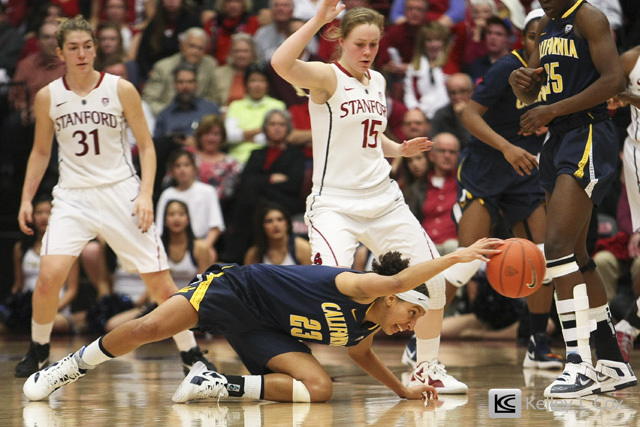 Statistically, with Stanford being ranked #4 in the nation and Cal unranked, you would think Stanford would have easily blown past Cal. 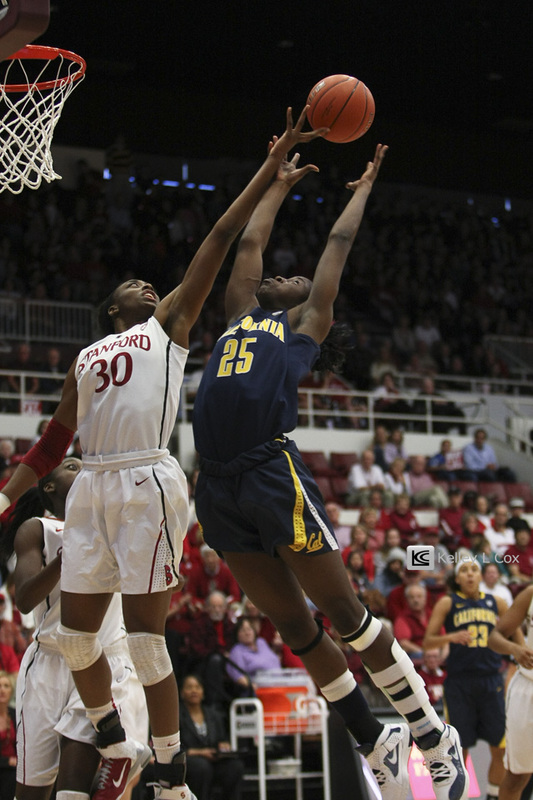 Especially considering it's nearly the same team which last year ended Connecticut's NCAA record winning streak, but with one more year for the dynamic duo sisterhood of Chiney and Nneka Ogwumike to play together, and the team had one it's last 72 games at home. 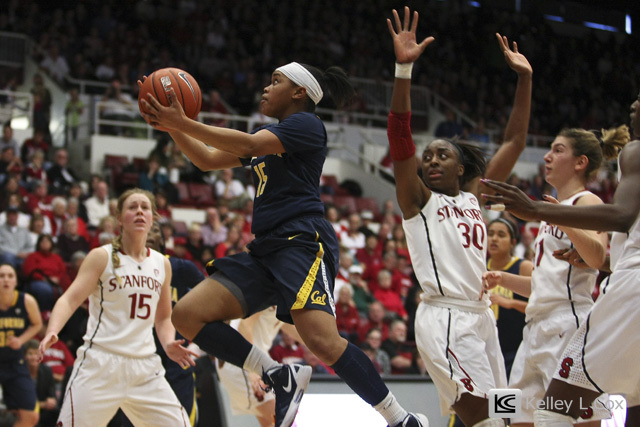 But statistics don't mean much when you are pairing an upcoming young Cal team against their rival. 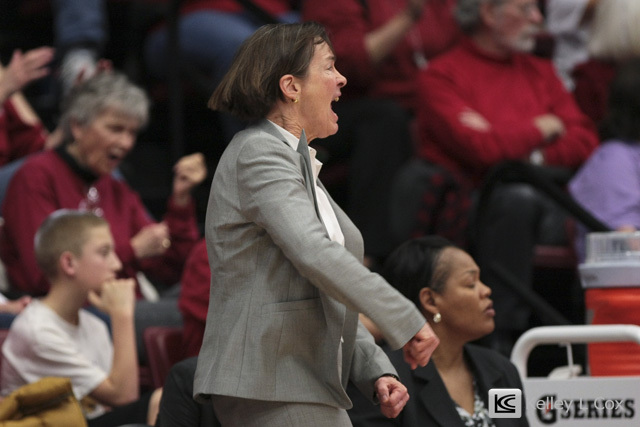 When players make clutch three point shots, normally Tara VanDerveer is expressionless and will just sit on the bench and make a small comment to an assistant coach. But boy she was animated as her team was threatened to fall in what would have been a crazy upset. 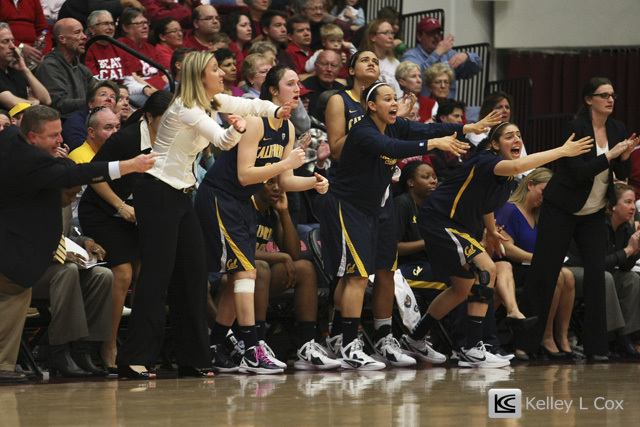 But Cal was definitely animated as well with the whole bench calling out to their teammates on plays! 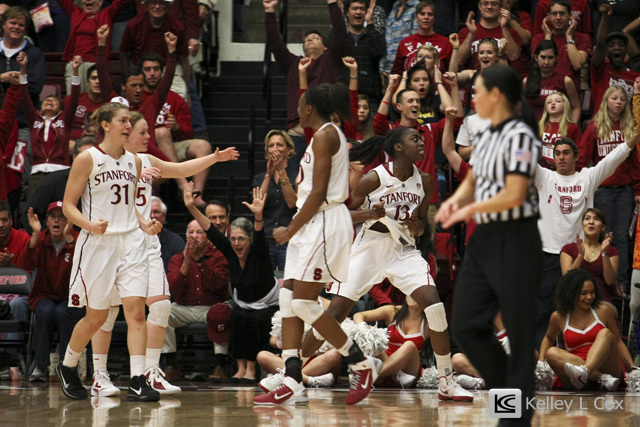 Cal gave Stanford a run for it's money... and as we know, that's quite a lot of money! 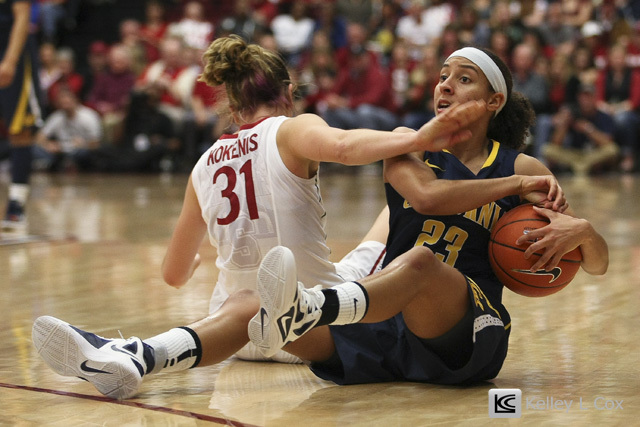 With Stanford not quite knowing how to handle freshman stunner Brittany Boyd flying through their defense. 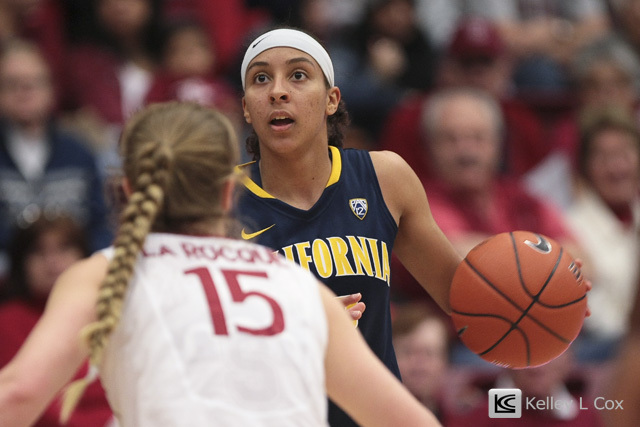 And some brave playmaking by Layshia Clarendon... Cal sent the game into overtime!! 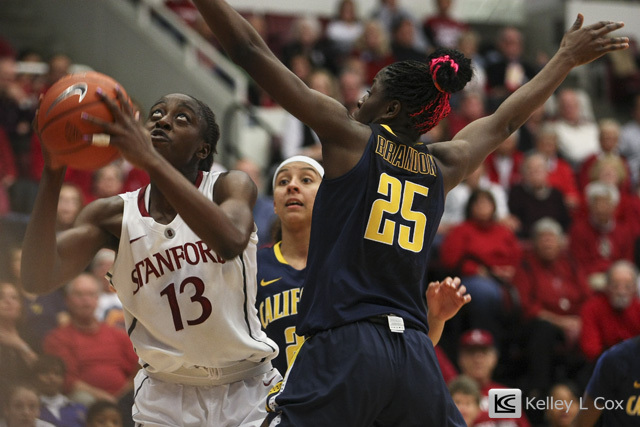 Ultimately Cal fell to Stanford 74-71 as Chiney Ogwumike scored a career high 27 points. But boy, what an exciting game!! 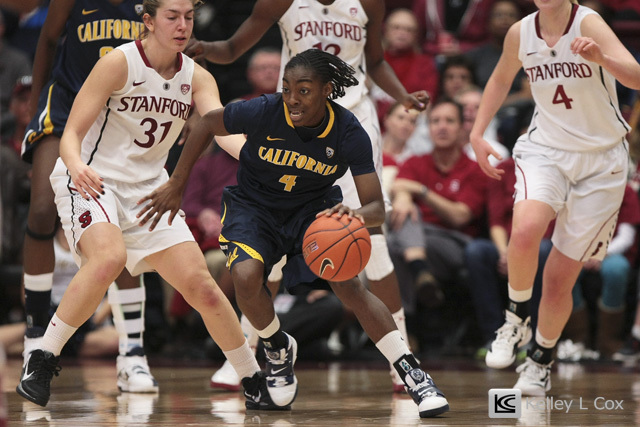 Definitely a game that makes me proud to be a Cal alum! 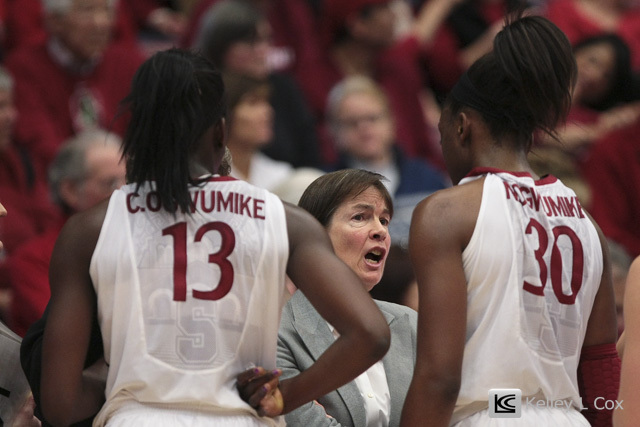 In the aftermath of the game, both coaches spoke on being proud of their players, but emphasized the bigger picture - or lack there of.. why was this game not televised!?! Women's sports never receive as much coverage as mens, but in a rival game, one team ranked #4 in the nation, and the other threatening to upset them... let's get some cameras on these female athletes!! !